March 2017: Tips, ENews & More! With the record-breaking warm weather we've had recently, we've got our sights set on March Break. With winter holidays, New Years, and Valentine's Day behind us, it's a great time to clear some things off your plate - like seeing the dentist for a checkup! With schools closed for a week, March Break is a great time to bring in your children for a dental appointment. Be sure to book early as these appointments fill up fast! Speaking of things on your plate, did you know that March is National Nutrition Month? Take the pledge to 'Take the Fight Out of Food', and add some healthy recipes to your repertoire. Feel free to browse through our past newsletters for recipes supporting a healthier diet. Help Us Improve - We Strive For Excellence! We are always looking for ways to serve you better. Please take a moment to complete our short (5 minute) survey and help us continue to strive for excellence in 2017. P.S. Happy St. Patrick's Day! When you think of dentistry, you probably think only of what dentists do to improve your health: but what about your appearance? Cosmetic dentistry is the general term used to describe what dentists may do to improve your appearance. But don't be misled: the improvement in your appearance often leads to improvement in your overall physical (and mental) health. Often, patients perceive that their teeth are crooked, chipped, stained, or too dark, leading to a smile that's just not right. Cosmetic dentistry aims to correct, repair or cover the imperfection improving the appearance of the patient's smile and often their self confidence. Click here to find out what cosmetic dentistry can do for YOUR smile! 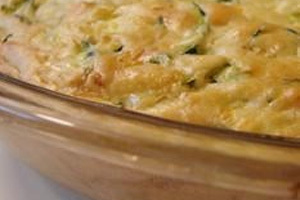 In celebration of National Nutrition Month and Pi Day on March 14th, we've found the perfect way to combine the two: a delicious, healthy zucchini pie. Zucchini's are low in calories, rich in potassium and vitamin C with a rich flavor. They'll make your Pi Day pie the best and healthiest yet.